At OLA,we began Lent with Mass. 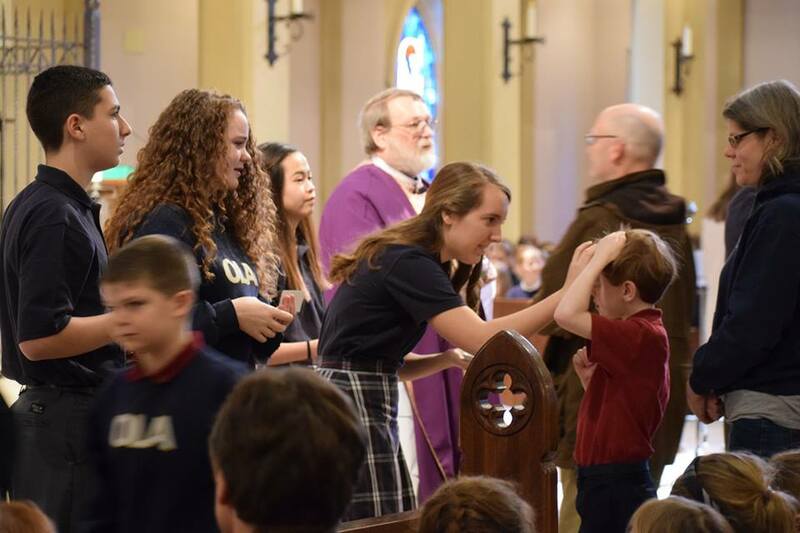 Again this year as a symbol of their leadership to our school, the eighth grade students distributed the ashes. Thank you to the many parents and siblings who attended the Mass, making it an even more special start to this Lenten season.